Recently, in accordance with the work demands of the Supreme People’s Court(“SPC”) , Wang Shumei, Wei Wenchao, Song Jianli, Zhang Xuemei, Yu Xiaohan, Ding Guangyu, Guo Zaiyu were appointed as the second group of seven judges of the China International Commercial Court(“CICC”). 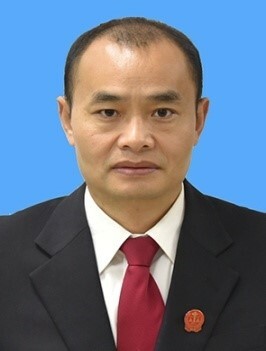 Judge Wei Wenchao is a Senior Judge of the Second Rank. He began working in the SPC in July 1999, working successively in the Political Division, the General Office, the Second Filing Division and the Environmental and Resources Division. He was appointed as a judge in February 2010 and appointed as Deputy Chief Judge of the Environmental and Resources Division in February 2016. Judge Wei holds a Doctor Degree of Law from China University of Political Science and Law majoring in civil procedure law. Judge Wei was the principal drafter of Interpretations of the Supreme People's Court on Several Issues Concerning Law Application in Hearing Environmental Civil Public Interest Litigation Cases. He also organized the drafting of Interpretations of the Supreme People's Court on Several Issues Concerning the Application of Law in Hearing Environmental Public Interest Litigation Cases Filed by the Procuratorate and Interpretations of the Supreme People's Court on Several Issues Concerning the Application of Law in Hearing Cases of Disputes over Compensation for Ecological and Environmental Damage(Trial). Judge Wei heard or guided the hearing of multiple major environmental public interest litigation cases in China, such as the retrial application case of environmental public interest litigation concerning water pollution in Taizhou, Jiangsu Province, the series cases of environmental public interest litigation concerning pollution in the Tengger Desert, etc. 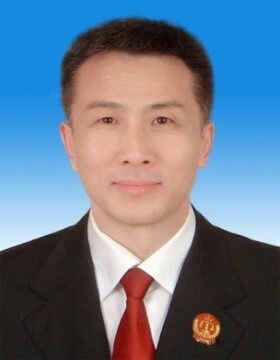 Judge Song Jianli is a Senior Judge of the Second Rank. He has worked at the SPC since 1997, and previously worked in the Trial Supervision Division before joining the Fourth Civil Division in 2009. He was appointed as a judge of the SPC in June, 2011. Between 1989 and 1992, Judge Song worked in the Xuecheng District Court of Zaozhuang, Shandong Province. Judge Song received his Doctor Degree of Law in international economic law from Wuhan University in China, and obtained a Master Degree of Law in international trade law from Southampton Institute in the United Kingdom in 2004. He was a visiting fellow in the Lauterpacht Research Center for International Law in the University of Cambridge from October 2005 to February 2006, a visiting scholar in the University of Pennsylvania law school from October 2005 to October 2006. In addition, He was a visiting scholar in the Max Planck Institute for Comparative and Private International law in Hamburg from September 2017 to December 2017. Judge Song is the author of the following books: International Commercial Litigation: Principles and Practice, published by Law Press in January, 2016; Judicial Review of Foreign Arbitral Awards: Principles and Practice, published by Law Press in January, 2016; and Jurisdictional Conflicts and Coordination in International Civil and Commercial Litigation, published by Law Press in March, 2009. He has published more than thirty articles in the areas of international economic law, private international law, and arbitration law. 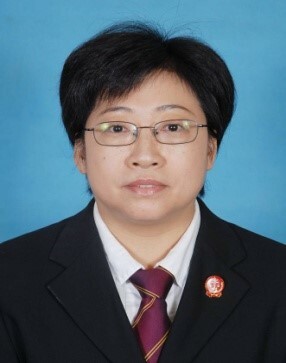 Judge Zhang Xuemei is a Senior Judge of the Second Rank. Judge Zhang started her judicial career at the SPC in July 2002 in the Second Civil Division. She was appointed as a judge in August 2015 and a Senior Judge of the Second Rank in December 2017. From 1995 to 1996, she taught at the Liaoning Economic Management Cadre Institute. Judge Zhang majored in Civil and Commercial Law at Renmin University of China. She obtained a Doctor Degree of Law in 2002. 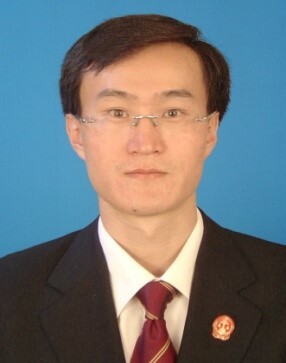 Judge Yu Xiaohan is a Senior Judge of the Second Rank. In June 1998, he began working in the Guangzhou Maritime Court. In May 2009, he transferred to the Fourth Civil Division of the SPC. He was appointed as a judge in October 2012 and a Senior Judge of the Second Rank in 2017. He graduated from Shanghai Maritime University majoring in International Economic Law and was awarded a Master Degree of Law. Judge Ding Guangyu is a Senior Judge of the Second Rank. In November 2018, Judge Ding was appointed as the Coordinator of the Case Management Office for the Second International Commercial Court. Judge Ding has worked at the SPC since July 2006. Previously he worked at the China Institute of Applied Jurisprudence, the Fourth Civil Division, the General Office, and the First Civil Division of the SPC. In September 2017, he was appointed as a judge and in December 2017, was appointed a Presiding Judge of the Sixth Circuit Court. Judge Ding majored in civil and commercial law at Renmin University of China. He obtained a Doctor Degree of Law. From August 2001 to September 2002, he studied at the University of Manchester, UK. 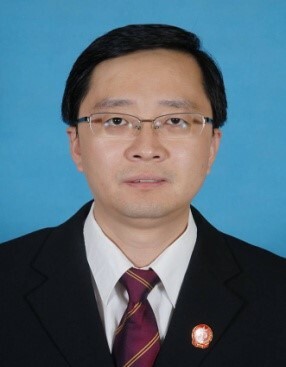 Judge Guo Zaiyu is a Senior Judge of the Third Rank. From August 2000 he started to serve at the Hubei High People’s Court. He had held the position of Vice Chief Judge of the Fourth Civil Division of the Hubei High People’s Court since March 2010 before he was selected to the SPC in 2016. In December 2016 he was appointed as Judge of the Fourth Civil Division of the SPC and Presiding Judge of the Fifth Circuit Court of the SPC. Judge Guo obtained a Doctor Degree of Law from Wuhan University majoring in International Law.